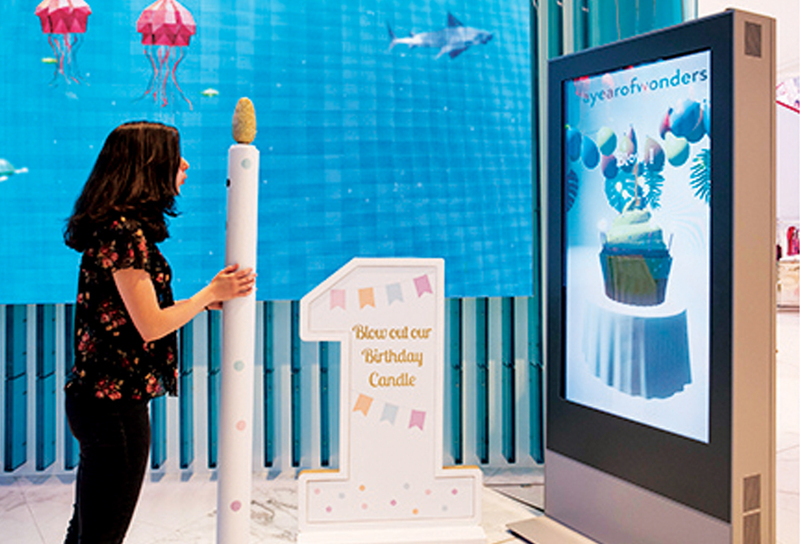 "A year of wonders" was the theme chosen by the Level Kids brand, which in order to celebrate its first anniversary offered during the month of April, several different and fun activities for children. Through one of its international partners the company PARTTEAM & OEMKIOSKS was present in this history of magic in the Middle East, more specifically in Dubai and the main protagonist was the digital billboard ZYTEC of 75 ". This digital billboard is the ideal model to present dynamic advertising and is a kiosk that can support large sizes and have different uses. Simple, but that causes impact. ZYTEC is incredibly modern and can get different configurations depending on the project. We know that brands and companies are looking for new ways of communicating in events , in addition the visual aspect (the company image / brand) is a key factor that can be differentiated from the competition. These digital tools such as multimedia kiosks and digital billboards help companies to stand out and make known more about the event, providing the information efficiently, dynamically and interactively.